Can not wait for Memorial Day Sale 2016? We have a solution for you! 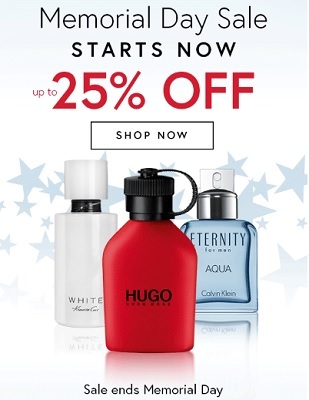 Visit Perfumania online and shop their Memorial Day Sale 2016. You can take an advantage of 25% discount on everything. Source of the information is Perfumania online. Offer ends on Monday May 30, 2016. For more information visit Perfumania official website. (total: 511)G.H. Bass & Co.